The fairness cream market in India is an evergreen one thriving on the complex associated with dark skin in our society. Dark-skinned newborns are hidden away as ‘bad news’; dark-skinned girls need to fish out more dowry as punishment; dark-skinned actors are seldom successful on celluloid, and the list goes on. Prejudices existing around dark skin in our society have almost always trumped over qualities like confidence, hardwork, discipline and dedication. Moreover, beauty companies that profit by selling us products that make us look ‘fairer’ have been fuelling this stigma. Fair & Lovely, one of the makers of various fairness creams for all skin types and seasons, from the Hindustan Unilever stable, has often been accused for propagating “fairness” with “success”. Its advertisements portray how a dark-skinned woman always fails – be it at a dance competition, an interview for an air hostess, or wooing a groom, but finds success after religiously whitening her skin with Fair & Lovely. Visuals depict a skin colour scale that goes from dark-skinned to fair-skinned within six weeks! Last year around this time, actress Yami Gautam was trolled on Twitter for endorsing Fair & Lovely. Jokes flew around her fair skin, “When there’s no electricity in India, people keep posters of Yami Gautam for light.” Read more at: “36 Funny Tweets On Yami Gautam Endorsing A Fairness Cream”. A few months later came new ad guidelines issued by India’s ad watchdog, the Advertising Standards Council of India (ASCI). The new ad guidelines prohibited brands from portraying dark-skinned people negatively. Beauty brands along with HUL agreed to comply with these guidelines. The new ad tells you how the cream will make you feel better about your appearance, and avoids straying into your skin colour or your failure at securing a dream job, a life partner or the first prize at a dance competition! 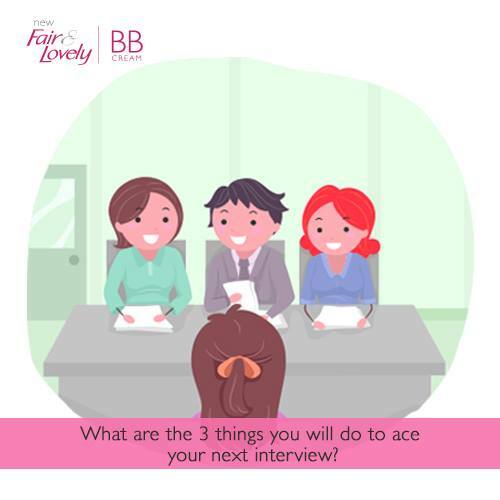 In the latest commercial for Fair & Lovely BB cream, Yami Gautam tells viewers how one can get the perfect make-up finish look when getting ready for an interview, for work or just hanging out with friends. HUL has completely turned around its past advertising. The ad does not have any comparison nor does it show instant success with the usage of the product. Perhaps, this is so because it is a BB cream and not a fairness one! On the digital front, it has roped in beauty and fashion vloggers to spread informative tips for aspiring interviewees. The videos have been boosted as YouTube pre-rolls since many days, and feature the country’s popular bloggers telling us about the role of confidence at work, and sharing communication tips, hair tips, dressing tips, etc. Besides, Fair & Lovely has partnered Google in its women empowering campaign ‘Helping Women Get Online’ that hopes to get more and more women access the internet and better their lives. 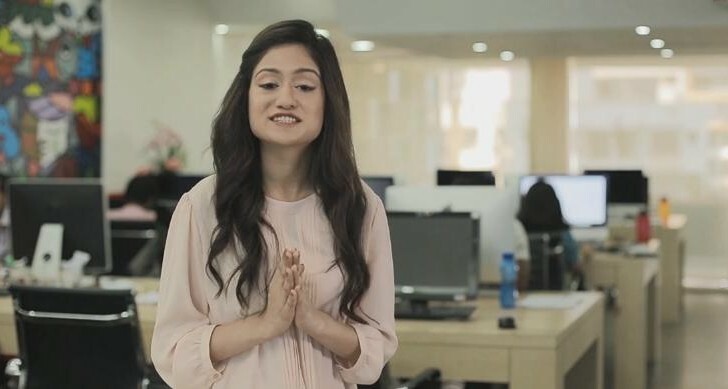 Its Facebook page has been engaging women with contests around the videos. Women could win a Micromax Canvas A1 along with a month’s internet pack. Fair & Lovely has evolved or let’s just say ‘was forced to evolve’ in its advertising approach, given the consumer pressure and the new ASCI guidelines. The campaign for BB cream not only places the emphasis on self-confidence but also shares information that could help boost confidence in young, working women. The brand communication has shifted from superficial beauty to inner beauty. It still has a long way to go to completely change consumer opinion but this is indeed a refreshing start. Using the digital medium in partnership with vloggers is a smart approach to appeal to their follower base, Fair & Lovely’s target group. Joining forces with Google’s ‘HWGO’ will further position it as a women-empowering brand rather than be demeaned as a propagator of dark-skin complex. However, the brand needs to brainstorm on it’s YouTube strategy by investing on content marketing.